We are very happy to announce that we will be holding a free car seat clinic in our office's parking lot on Saturday June 7th from 9am-3pm. Bring your vehicle, car seat and child and the registered car seat techs will make sure that your car seat is properly installed, sized and answer any additional questions you may have. There will additionally be a Shred-It station that will dispose of any documentation in exchange for a donation to the Saskatoon Food Bank. More details to the event will be announced in the coming months as confirmed. When plating and insuring your vehicle in Saskatchewan, whether it be your winter beater or your brand new SUV, it's important to understand your options and what you are getting in terms of coverage and deductible. There are many examples of how an Auto Policy can provide necessary benefits in coverage. For instance, if you injure a high salaried person in a collision and must pay to supplement their lost income, Auto Policy pays for costs not covered by basic plate insurance. You may face significant financial hardship if you're found at fault for damaging someone's property or if someone gets injured. Getting the right protection is about the best combination of basic plate insurance and an Auto Policy tailored to your needs. Thank You For 32 Years of our Family's Business! We had a small celebration of our office's 32nd anniversary on Saturday. We would like to thank everyone who past or present had business through our office and to the wonderful community around us that has been home to our business since 1982! Al and Lois (the original owners) even stopped by to visit with everyone and help celebrate. - Sydney Sylvetser who won a woman's watch. - Bert Elder who won the men's watch. - Shannon Peter who won the sport bag, blanket and water bottle. Nice Place! Is It Properly Covered If It Breaks? Got some new gadgets in your home, maybe a radiant floor or some valuable mobile medical equipment? Wawanesa offers Saskatchewan residents a Special Limits Enhancement that can be extremely useful on your home or condo that not only increases some of your existing coverage limits but adds coverage to key systems you rely on in your everyday life. This Home Equipment Breakdown coverage is extremely handy in covering costly gaps to basic policies, protecting you from expensive repair or replacement to key pieces of equipment and systems. If you would like more information regarding Wawanesa's Special Limits Coverage, please give us a call at 1-800-450-2700 or 306-955-2700. Copies are free and fold up to fit in a jacket pocket. 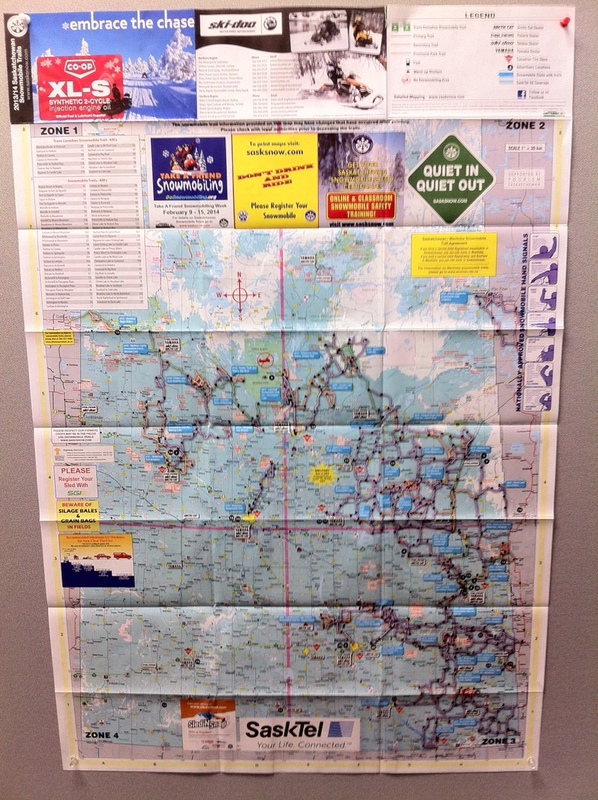 Please come pick one up from our office before you hit the trails and safe riding!